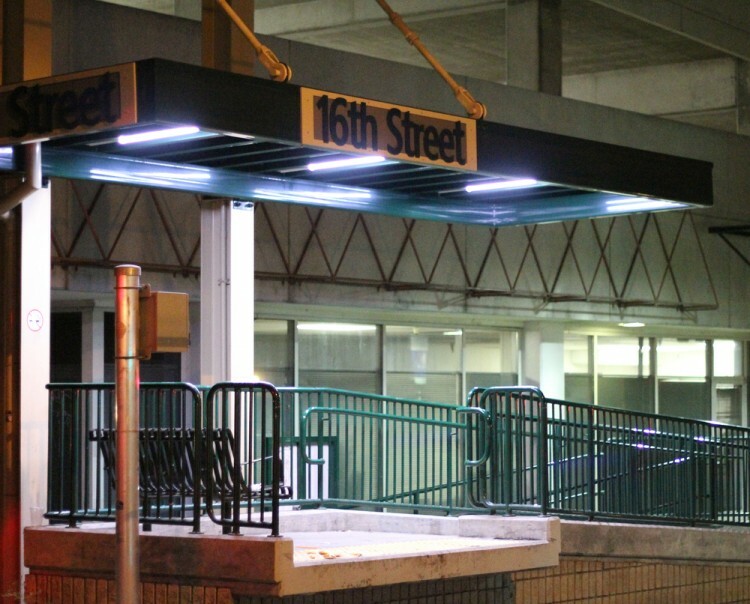 The light rail station at 16th and R Street was the location of a recent assault reported by a City College student. Photo by Evan E. Duran. The Los Rios Police Department reported this week that on Aug. 30 at approximately 2:30 p.m., a City College student was sexually assaulted while waiting for her ride at the 16th Street Light Rail Station. The incident, which was reported on Sept. 13, involved a student waiting at the light rail station when the suspect allegedly fondled her buttocks according to the report. The victim confronted the suspect and he left the scene. Police are describing the suspect as a male in his early 20s. The suspect is believed to be approximately 160 pounds and 5-feet-6-inches to 5-feet-8-inches tall with short black hair, medium-brown skin complexion, and a mustache. The suspect was reported as wearing a light-blue shirt with horizontal stripes and dark pants at the time of the incident. According to the report, the victim believes the suspect is another City College student who may have boarded the train with her at the City College station. An investigation into this incident is ongoing. If you have any information on this incident, contact the LRPD at (916) 558-2221. This entry was posted in Briefs, News, Sac City Express (SCC) and tagged 16th street, assualt, City College, downtown Sacramento, investigation, light rail, police, RT, station. Bookmark the permalink.